“Am I pregnant?” A nerve-wracking question that has the potential to change the rest of your life. The answer to that can easily be found with home pregnancy tests that detect human chorionic gonadotropin (hCG), a hormone present only in pregnant women, in urine. False negatives can be just as disruptive, if not more, than ambiguity. Here’s what you need to know before taking your pregnancy test to make sure it is as accurate as possible. All tests work the same way and there is generally not a big difference between brands. What you want to look out for is the expiration date. Older pregnancy tests exposed to warmth or dampness might lead to inaccuracy. Some kits claim that it can give you accurate results on the day of your missed period. However, to lower the chance of false negatives, it is recommended that you wait at least a day after your missed period and ideally a week after to be certain. When taking the test, your golden hour happens first thing in the morning as your urine will have the most hCG if you are pregnant. The pregnancy test is pretty straightforward. Be sure to follow the instructions on the kit as it varies slightly for each test. For some, you’ll have to urinate on the stick while others require you to pee into a cup and use a dropper to transfer your urine. Usually, you’ll have to wait about 5 minutes but this again depends on the test you are using. How the results appear are based on the test you are using. 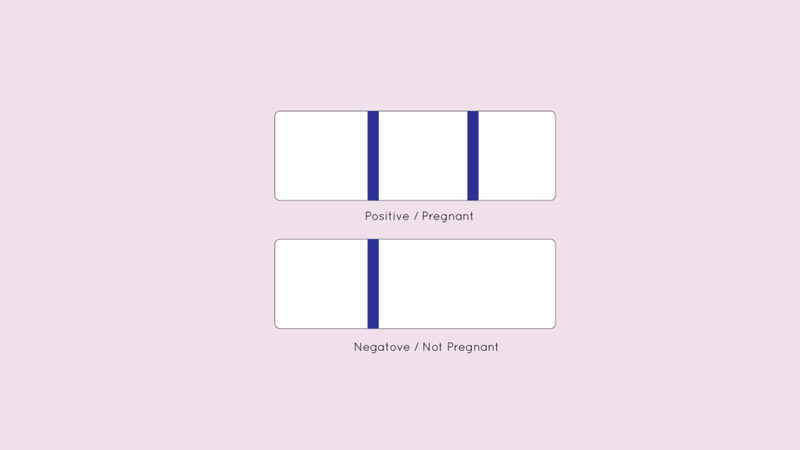 Some brands of pregnancy test kit will indicate a “+” or “-” sign or even display “pregnant” or “not pregnant” plainly. Most brands on the market use the symbols of 2 clear lines for Positive and 1 clear line for Negative. If it appears positive, it’s time to make an appointment with a doctor to confirm your pregnancy through a more elaborate blood test. While false positives are rare, false negatives can be quite common. To be sure, wait another week and if your period hasn’t started, take the test again. Now that you know what to look out for, get the ‘freshest’ pregnancy test you can find and stick closely to the instructions. Pregnancy is, after all, a life-changing experience, literally.